Welcome to the Games World online shop. 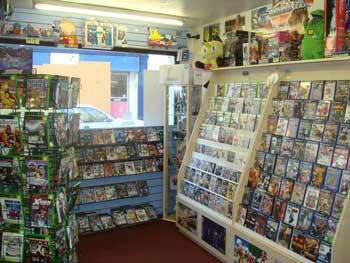 We are an independent Video Games store based in the heart of the South West. We specialise in stocking new and used games for the Xbox 360, Sony PS3, Nintendo Wii and DS. We also stock games for previous generation consoles, such as Xbox, Sony PS2 and Nintendo Game Cube. We also pride ourselves on having an ever growing retro section, where you'll find games for consoles of yesteryear. You can rediscover your lost youth, or play the classics that inspired today's games. If you can't see what you're after drop us an email and we will track it down for you! We also pride ourselves on customer service, so if you email us we will get back to you within 12 hours. We add stock almost everyday, so keep checking our website, as you never know what you'll find next.